The American Committee of Safety musket is more a general term of reference than a specific model. In colonial America local areas would make themselves responsible for the protection of the communities. To organize this protection, Committes of Safety would be organized and they in turn would organize local militia. 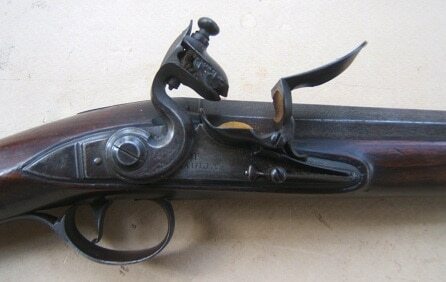 To arm the men, local gunsmiths would produce guns in design generally based on the British Long Pattern musket. These locally made muskets could be found in caliber incuding .80, and made entirely by the gunsmith or from available parts from other muskets. Weapons at the time were a necessity, so if varying standard parts could be put together to make one, or a broken musket fixed with retrofitted with parts from another musket, it would often be done. Further, looking to avoid treason charges if the colonists lost the war, local gunsmiths would not apply a makers mark to the guns so they could not be personally identified as manufacturing a weapon to be used against the King’s forces. 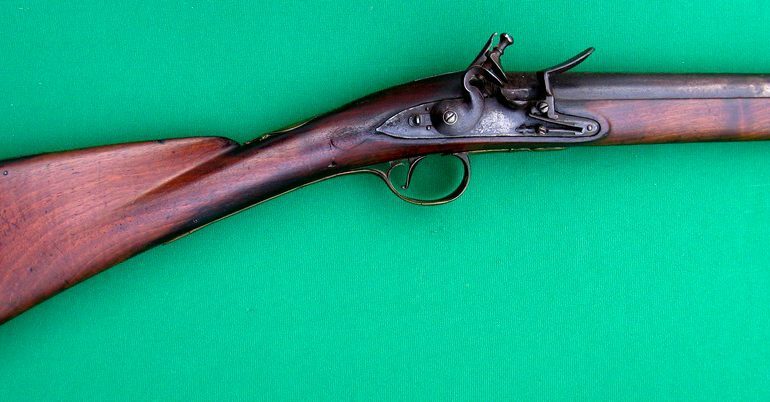 The combination of varying parts and no makers marks make it challenging to positively identify a musket as being an original Committee of Safety firearm. For more details, click here.